Securing entrances with padlocks or slide bolts may work in many cases, but in tough urban neighborhoods, owners may even want to consider sealing up their entrances with cinder blocks. These are stronger and less likely to rot than the plywood that many owners utilize. Vacant properties can be enticing for criminals, but most will quickly back away if they think someone is home. Simple products like a Fake TV can deter burglars by simulating the scene and color changes of a real TV. Protecting a property with a product like this costs less than running a night light. However, property owners may wish to take some additional steps to ensure security. Parking you friend or neighbor’s car in the drive way is also effective. Regular maintenance of the lawn is another good one – unkempt lawns attract negative attention! Prevent leaks by checking and keeping gutters clean. Avoid letting newspapers or mail pile up near the home as these piles are telltale signs of abandonment. Install motion sensors on outdoor lights so that potential thieves or vandals won’t have the chance to sneak up to the home undetected. Pros suggest getting to know local law enforcement officials, too. 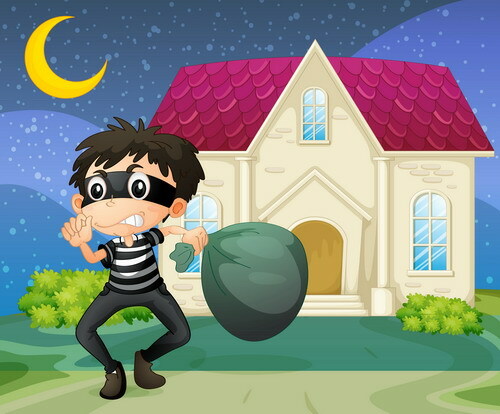 If they know and respect you, they may be more likely to take notice if and when your vacant home attracts criminals. Neighbors or neighborhood watch groups can also be an invaluable way to protect yourself and property. A nosy neighbor armed with your cell phone number may end up being your biggest asset when trying to protect your vacant property. Homes that are left vacant are at risk of becoming uninsured since many homeowners insurers won’t insure a home that’s been vacant. 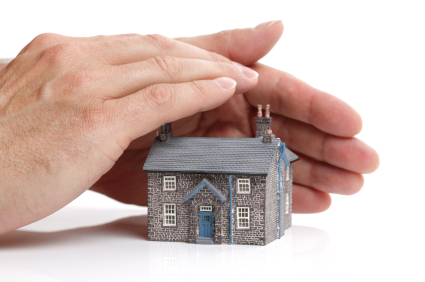 Vacant houses usually lose insurance within 30 days, but there are some things you can do to keep the insurance. First of all, you can keep enough furniture in the unoccupied home so it doesn’t meet the definition of being “vacant.” Some people choose to rent furniture to meet this need. Another option is renting the house out month to month to keep it occupied.